We provide estimated charge based on contract time, etc., at pick-up and request fee settlement at drop-off. Gasoline, diesel or hybrid car: The rental car has a full tank for pick-up, so it must be the same at drop-off. If not full, the fee will be settled using our conversion table, in accordance with distance driven. If you extend rental time, you'll pay penalties at drop-off, and if you're late without contacting your rental site, then additional prescribed penalties will be incurred. Changing contract time without permission or contact is a breach of rental contract, and any damage incurred shall be customer's responsibility. We prefer payment by credit cards affiliated with our company. Payment for D, ED and RD classes, and the stated higher-grade vehicles must be made by credit card. Valid credit cards: VISA, DC, MASTER, UFJ, JCB, NICOS, American Express, Diners Club, MUFG, UnionPay. Some cards may not be accepted at some sites. Check with your rental site. Either (1) or (2) shall be checked in case of payment in Japanese yen. The following cancellation penalties apply. Reservations are honored up to one hour after scheduled pickup time. After that, they are cancelled. Your pick-up site will notify you if any cancellation penalties are incurred. One-way charge will be billed when you drop off your rental car at a site other than reserved pick-up site. For the details on one-way charges, click here. One-way use requires advance reservation. Please accept our apology if your request cannot be accommodated due to unavailable stock. Penalties will be billed if you change the reserved drop-off site without approval. Separate charges may incur if use of a toll road, car ferry, etc., is required for pick-up delivery. 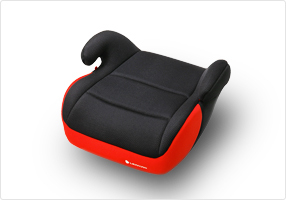 The law restricts child seat or infant-assist device usage to children age five and younger. Be sure to reserve a child seat at reservation time. 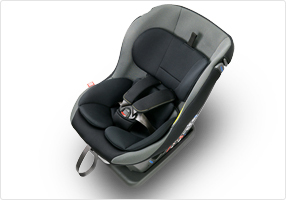 Rental may be refused if a child seat has not been reserved or prepared. In principle, customers must do child seat installation. Our staff may help, but safety confirmation is the customer's responsibility. We shall not be responsible for accidents, etc., from faulty installation of a child seat or other cause. Damage or loss of a child seat due to a customer's incorrect handling or mismanagement may incur a cost for which we are not liable.